Unwanted facial and body hair can be a thing of the past with IPL, or ‘intense pulsed light’, permanent hair reduction. For both men and women, IPL technology can permanently reduce unwanted hair, putting an end to painful waxing, electrolysis and razors. At Assure Cosmetic Centre, IPL is safe, quick and comfortable and usually only requires about 6 treatments. An intense pulsed light beam travels down the hair via the pigment to permanently destroy the hair follicle. We use a medical-grade IPL machine, the ‘Cutera Xeo ProWave’, as chosen by our plastic surgeons. The TGA-approved ProWave delivers fast, safe, relatively pain-free permanent hair reduction, with reliable results allowing for predictable pricing. To find out if Perth IPL permanent hair reduction can help you, the first step is to book a free consultation with one of our dermal therapists. What results can I expect from Perth IPL hair reduction? IPL can target any area with actively-growing dark hair. Areas typically targeted by ladies include the upper lip and chin, underarm, bikini line (g-string and Brazilian), legs and chest. Men might want to permanently reduce the density of their facial hair growth, or to treat their backs or chests. The Cutera Xeo ProWave is suitable for a wide range of skin types, including darker skin. An added benefit is that it is capable of quickly treating large areas, such as legs and backs. Although side effects with IPL are uncommon, you may notice some slight reddening and localised swelling of the skin, similar to sunburn. These effects typically last only a very short time, usually subsiding within a few hours. How does IPL for permanent hair reduction work? IPL works by directly targeting the hair follicle. Using the medical-grade Cutera Xeo ProWave IPL machine, an intense pulsed light beam travels down the hair via the pigment and destroys the follicle permanently. 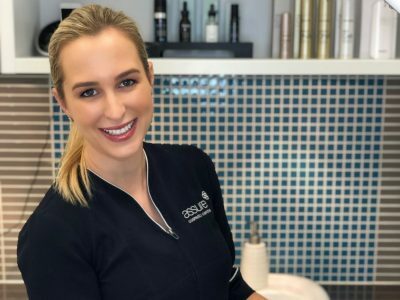 What does Perth hair reduction with IPL feel like? When the pulse of light is delivered, a mild pinching or stinging sensation may be experienced. No local anaesthesia or pain medication is required for the treatment. The Cutera Xeo Prowave handpiece is cooled, making it more comfortable during treatments. It is this cooling that also minimises adverse reactions commonly seen with other IPL hair removal systems. How does IPL compare with electrolysis for hair removal? Electrolysis is a tedious, invasive and painful process that involves inserting a needle into each individual hair follicle and delivering an electrical charge to each, one at a time. Electrolysis often requires years of treatments at regular intervals. By comparison, IPL delivers light energy to hundreds of hair follicles with a single pulse. In just seconds, IPL can effectively treat an area which would take more than an hour with electrolysis. How often do I need Perth IPL hair removal treatment? A series of 6 IPL treatments is usually recommended for permanent hair reduction. This is because IPL targets only active hair follicles and not all follicles are active at the same time. We start off with treatments 4-6 weeks apart and gauge when subsequent treatments should be done, depending on the results we see. How much does IPL for hair reduction in Perth cost? Your initial consultation with our dermal therapist is completely free of charge and without obligation. If you decide to go ahead, IPL permanent hair removal costs start from $75, depending on the area being treated. We also offer discounted pricing for a treatment series. The reliability of results with the Cutera Xeo ProWave allows us to reliably predict how many treatments you will need to achieve the result you want. Please click here to see our full price list or contact us to book your free consultation.